For example, in the 1960s, 1970s and 1980s, research was carried out into touch screens, although their application to products was very slow. This was the early years of development and not a trend. 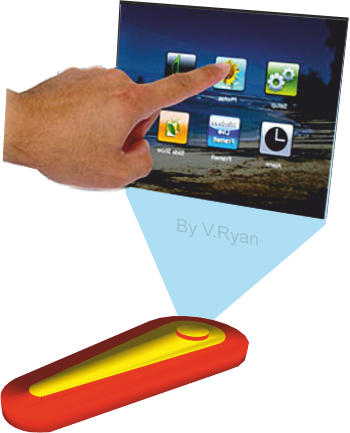 However, a trend developed with the advent of smart phones and tablet computers, all based on touch screen technology. Touch screens now dominate the market in handheld devices. This is a continuing trend. A fictitious company called ‘Sound’, manufacture an unusual touch screen MP3 player, which also allows the user to take 3D photographs and play music in high quality surround sound. The touch screen is projected into the air. It is regarded as better than any other MP3 player on the market, as it is different / innovative. Although it is not the market leader, sales of the ‘Sound’ MP3 player are increasing steadily. 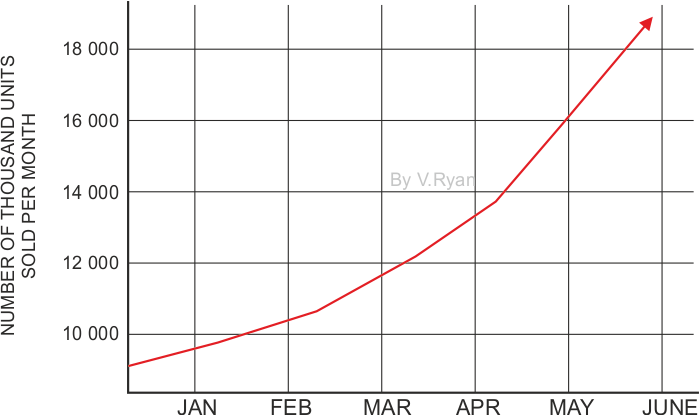 The ‘trend’ is for increased sales month after month (see graph below). After a few months, other MP3 manufacturers, introduce their own surround sound and 3D devices, similar to ‘Sounds’ MP3 player. A trend is developing, the public are buying this type of device, instead of other devices. Other forms of touch screen devices are regarded as old fashioned. Some trends are short lived. For example, a trend could be this ‘seasons’ popular colour, shade or fashion style. A trend like this often ‘peters out’ or dwindles away. Often one trend is replaced by another, especially in the world of fashion and style. ‘Trendy’ is a term often applied to ‘cool’ or ‘stylish’ products. When iPods and iPhones were introduced, consumers regarded them as ‘trendy’, as well as being innovative. They set a trend and other manufacturers started to produce their own devices, similar in look and functions. 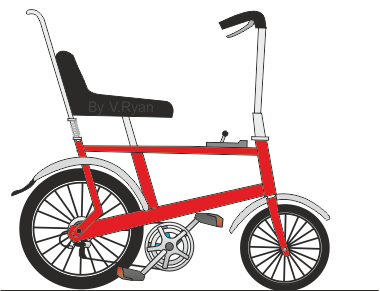 Raleigh of Nottingham, England introduced the ‘Chopper’ bicycle in the 1970s. It was unusual as it had a large back wheel, a small front wheel, a gear stick lever and easy rider handle bars. It quickly became the bicycle of choice for young children and teenagers. It was ‘trendy’ and a ‘must have’ product, even though it was not easy to ride. Eventually, when large numbers of children owned the bicycle, it slowly became less trendy / less cool and sales slowly declined. This trend came to an end and restyled, lightweight racing bicycles gained popularity, becoming the new trend.